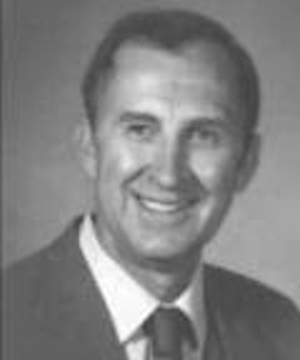 Obituary – Walls, Dale Davis « Perry High School Alumni Association, Inc.
﻿Junior Play 52-53, Class Assembly 51-52, Perryscope Staff 53-54. Walls, Dale Davis 74, went home to be with his Savior on Sept. 1, 2010 after a 4 year battle with cancer. Dale D. Walls was born May 19, 1936 in Fairfax, Oklahoma to Roy E. Wails and Ollie Thelma Walls. He was the 5th son out of 7 boys. He grew up at Navel Reserve by Fairfax. He attended the Greyhorse School on the Osage Reservation near Fairfax. He gave his heart to the Lord at an early age and was an active member in the Navel Reserve Baptist Church. In 1951, he moved to Perry, Oklahoma where he graduated from Perry High School in 1954. After graduation, he worked for Phillips Oil Co. In Borger and Dumas, Texas. In 1957 Dale was drafted into the Army where he served most of his enlistment in Washington State at Fort Lewis. 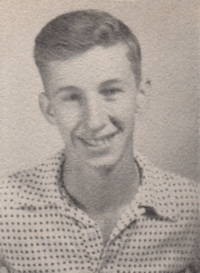 1959, he married the former Barbara Grubbs of Borger, Texas. They had 3 children, Danny Wayne, Vicki Lynn and David Dale. Dale was honorably discharged from the Army in 1960.After leaving the Army, the family moved back to Borger, Texas where Dale continued his work for Phillips Petroleum. In 1964, he and his family moved to the Dallas, Texas area. He worked for Texas Instruments for almost 35 years. He was in the Facility Department and later as a contractor at Texas Instruments. He was a very faithful employee of TI and almost called it his second home. After retirement, he always kept in contact with his friends and fellow workers. In 1995, Dale married the former Kathy Feuerbacher. Dale grew to love Kathy’s sons as his own. Brad and Chad Feuerbacher. Dale was preceded in death by his parents and two brothers, R.D. and Kenneth. He is survived by his wife Kathy of Plano, Texas his children Danny Walls of Wylie, Texas, Vicki Walls Hamby of Wylie, Texas, David Walls of Irving Texas , Brad and his wife Cecile Feuerbacher of Plano, Texas and Chad and his wife Cheri Feuerbacher of Rockwall, Texas. In addition, he is survived by 12 Grandchildren, 9 Great Grandchildren and 4 brothers. Memorial Service will be Saturday, Sept 18, 2010 at 2:p.m.at The First Baptist Church in Wylie, Texas.